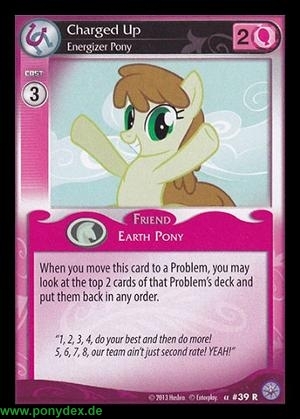 When you move this card to a Problem, you may look at the top 2 cards of that Problem's deck and put them back in any order. "1, 2, 3, 4 do your best and then do more! 5, 6, 7, 8 our team ain't just second rate! YEAH!"